The purpose of this document is to provide a brief outline of private prosecutions and the elements to prove in a fraud case where potential offences may lie under the Fraud Act 2006 or conspiracy to defraud. For completeness section 17 Theft Act 1968 is also briefly considered. A private prosecution is one brought by a private individual or body not acting on behalf of the police or any other statutory prosecuting authority. It was recognised in the case of Gouriet v Union of Post Office Workers  AC 435 that the right to bring a private prosecution was “a valuable constitutional safeguard against inertia or partiality on the part of authority”. Private prosecutions are commenced by way of a summons. An information (a formal document outlining the proposed charges which the defendant will face) is laid at the Magistrates Court (where all criminal cases commence, regardless of how serious they are). The information is considered by the Magistrates and if it satisfies certain criteria (e.g. is there a prima facie case; is the offence one known in law and does the court have jurisdiction to deal with the matter) a summons is issued. This is served upon the defendant and will state what the charges are s/he is to face and the date s/he is required to attend court. Should the defendant fail to attend court on the day appointed the prosecutor can ask the court to issue a warrant for his arrest and the defendant will be arrested by the police and brought before the court. Once at court the defendant will then be remanded on bail to attend all future court appointments (or remanded in custody if he is felt to be a flight risk and faces serious charges). The matter will then proceed through the criminal courts in exactly the same way as a case brought by a public prosecuting authority and will be treated no differently. Please note however section 6 (2) Prosecution of Offences Act 1985. The Director of Public Prosecutions (DPP, the head of the Crown Prosecution Service (CPS)) has the right to take over a private prosecution if he is satisfied that there is insufficient evidence to support the allegations or if it is not in the public interest to proceed with the matter or if the private prosecution interferes with the investigation or prosecution of another criminal offence. The Fraud Act 2006 came into force on the 15th January 2007. It cannot be used for offences that occurred before this date (unlike section 17 Theft Act 1968 and conspiracy to defraud). The test for dishonesty is found in the case of R v Ghosh  QB 1053 and is a two stage test. The jury must first be satisfied according to the ordinary standards of reasonable and honest people that what was done was dishonest. If it was not dishonest by those standards the prosecution will fail. If it was dishonest by those standards the jury must then go on to consider whether the defendant himself must have realised that what he was doing was by those standards dishonest. It is dishonest for a defendant to act in a way which he knows ordinary people consider dishonest even if he asserts or genuinely believes that he is morally justified in acting as he did. Gain and loss only extend to gain and loss in money or other property (this would include e.g. money transfers or where a person is tricked into incurring a liability such as under a contract or a guarantee). Gain does not mean making a profit – thus there can be a gain where a person obtains money to which he is entitled (Att.Gen’s Reference (No 1 of 2001)  3 All ER 840). Therefore if a person uses a false representation to trick a debtor into paying money which he is owed he will commit an offence if he acts dishonestly. The gain or loss can be temporary or permanent. It also includes exposing another to loss or to the risk of loss. The offence is committed when the representation is made and must be untrue or misleading. The representation may relate to fact or law and may be made orally or in writing. iv. The person making the representation must know that the representation is or might be untrue or misleading. In DPP v Ray  AC 370 HL the court held that continuing a representation which is true initially but subsequently becomes false becomes a deliberate deception. This can only be so under section 2 Fraud Act 2006 if the representation is made again once the person making it knows that it has or might have become untrue or misleading. (ii) o cause loss to another or to expose another to a risk of loss. The prosecution must show that the person occupied a position in which he is expected to safeguard or not to act against the financial interests of another person. The Act does not specify by whose expectation the position is to be judged. It could therefore be the reasonable member of the public sitting on a jury. Examples given in the Act include the relationship between a trustee and beneficiary; director and company; employee and employer; between partners and within the family. A person who did not occupy such a position could nonetheless be guilty of section 4 offence as a secondary party such as the beneficiary of a dishonestly awarded contract. 21.The term “abuse” is not limited by a definition, because it is intended to cover a wide range of conduct. Moreover subsection (2) makes clear that the offence can be committed by omission as well as by positive action. For example, an employee who fails to take up the chance of a crucial contract in order that an associate or rival company can take it up instead at the expense of the employer, commits an offence under this section. 22. An employee of a software company who uses his position to clone software products with the intention of selling the products on would commit an offence under this section. 23. Another example covered by this section is where a person who is employed to care for an elderly or disabled person has access to that person’s bank account and abuses his position by transferring funds to invest in a high-risk business venture of his own. Abuse of position (in line with other ways of committing the offences of fraud) need not result in actual gain or loss and extends to exposing a victim to the risk of loss. The abuse must be dishonest (please see above) and must be accompanied by the requisite intent as to gain or loss. There is no express requirement that the defendant must know that he is expected to safeguard or not to act against the financial interests of the other person or know that his act or failure to act constitutes an abuse of position. But he must intend that the act/failure to act which the prosecution say constitutes the abuse of position will make a gain/cause loss to another (i.e. not necessarily the person whose interests he’s expected to safeguard). Conspiracy to defraud is a common law offence (i.e. one not in a statute). The essential element of conspiracy is an agreement between 2 or more persons. A single person can be charged with conspiracy even if the identities of his fellow conspirators are unknown. In general terms, the agreement must be for a course of conduct to be pursued which if the agreement is carried out will amount to or involve the commission of an offence by one or more of the parties. An intention only by individuals to commit a criminal offence is insufficient to satisfy the prosecution – there must be proof of an agreement between the parties. To prove conspiracy to defraud the prosecution must prove that there was an agreement by two or more persons to dishonestly prejudice the rights of another or to take the risk of prejudicing another’s right knowing that there is no right to do so (Welham v DPP ). It is not necessary for the prosecution to prove any intention to deceive the victim or cause him a financial loss. All that is required is a dishonest agreement to expose the proposed victim to some form of economic risk or disadvantage to which he would not otherwise have been exposed. It is not necessary for the fraud to be intended to be perpetrated by the conspirators themselves. The prosecution must prove that the defendant was dishonest (please see above for the test of dishonesty as set out in R v Ghosh) and that he intended to defraud the proposed victim. Illustrations of agreements amounting to a conspiracy to defraud include an agreement to conceal a bank’s losses or liabilities from it’s shareholders, creditors and depositors; agreement by company directors to conceal secret profits from the company; agreement to falsify hire purchase or credit applications so as to induce credit companies or other lenders to make loans they might not otherwise be willing to make. 4. Section 17 Theft Act 1968: False accounting. he shall, on conviction on indictment, be liable to imprisonment for a term not exceeding seven years. • Intended to make a gain either for himself (or another person not necessarily the defendant) or cause loss to another. Loss also includes a loss by not getting what one might get as well as a loss by parting with what one has. • That the document or record which has been falsified/defaced/concealed or destroyed was made for an accounting purpose or required for an accounting purpose. 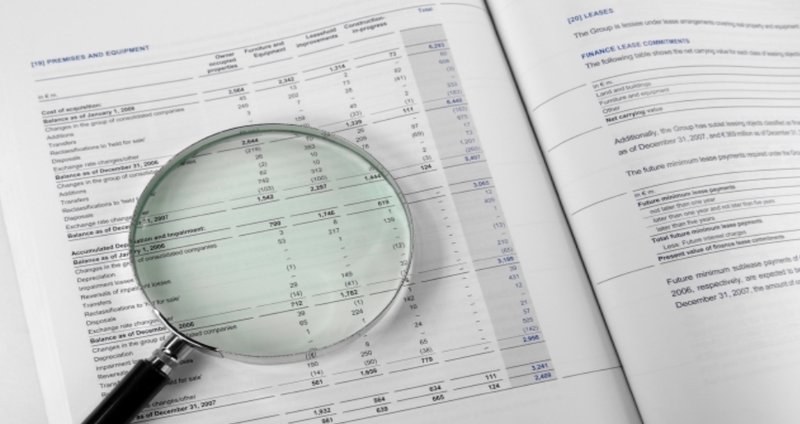 Whether a document is required for an accounting purpose is a question of fact. Thus for example a claim form for housing benefit has been held to be a document required for an accounting purpose. (1)Where an offence committed by a body corporate under section 17 of this Act is proved to have been committed with the consent or connivance of any director, manager, secretary or other similar officer of the body corporate, or any person who was purporting to act in any such capacity, he as well as the body corporate shall be guilty of that offence, and shall be liable to be proceeded against and punished accordingly. (2)Where the affairs of a body corporate are managed by its members, this section shall apply in relation to the acts and defaults of a member in connection with his functions of management as if he were a director of the body corporate. (c)he enters into a transaction with the other for a consideration the value of which, in money or money’s worth, is significantly less than the value, in money or money’s worth, of the consideration provided by himself. (b)protecting the interests of persons who are victims of the transaction. (b)of otherwise prejudicing the interests of such a person in relation to the claim which he is making or may make. (b)if that person is a body capable of being wound up under Part IV or V of this Act, any other court having jurisdiction to wind it up. (5)In relation to a transaction at an undervalue, references here and below to a victim of the transaction are to a person who is, or is capable of being, prejudiced by it; and in the following two sections the person entering into the transaction is referred to as “the debtor”.